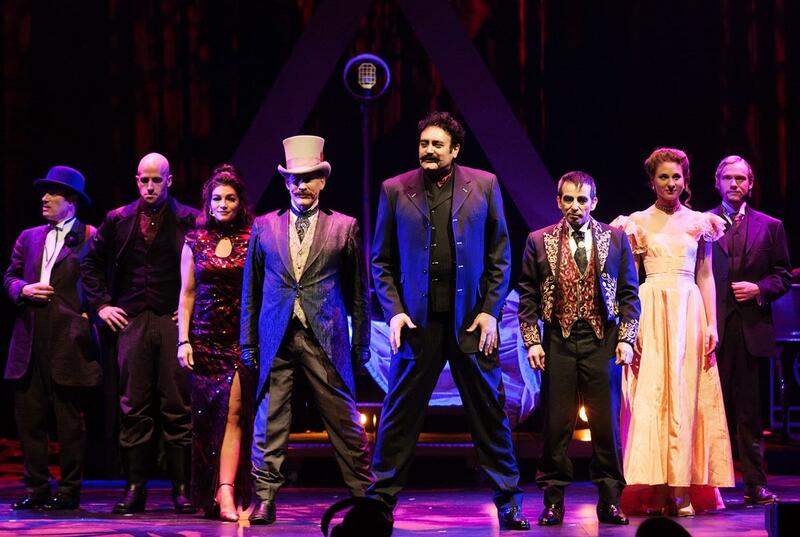 Audiences will be transported back to 1903 to experience the glory days of magic as they discover first hand the spectacles that transformed stage entertainment over 100 years ago, when “The Illusionists 1903” performs at the Sydney Opera House Concert Hall for a strictly limited season from 19 to 29 December 2015. Featuring brand new, world class Illusionists handpicked from across the globe, this new show takes the audience back to the time of Houdini and the Magic Circle, the golden age of magic, when conjurers were superstars. Magical arts drawn from a treasure trove of long forgotten mysteries will be unveiled in exquisite, turn of the century grandeur at this larger than life production from the acclaimed creative team behind international hits The Illusionists and The Illusionists 2.0. Showcasing some of the greatest and most dangerous illusions ever built, “The Illusionists 1903” will be one for the adrenaline lovers. Some of the jaw-dropping tricks to be featured will include a deadly bullet catch, amazing levitation and unbelievable mind reading. Audiences will watch in awe as the all star cast attempt to get one-up on each other, performing some of the most sophisticated tricks in the book and will also be amazed by the variety of interesting characters. The Conjuress, mistress of the mystical, will highlight all that was beautiful and breathtaking during the Golden Age of Magic. Her mesmerising and peaceful presence will provide the perfect counterbalance to the more boisterous characters of the age. The Eccentric is rooted in history as a part of the famed vaudevillian variety shows of the early 20th century, combining physical comedy with virtuosic skill and mastery, showcasing world class juggling and sleight of hand in an act that keeps audiences laughing and applauding all at once. The “voice” of 1903, The Showman lives for the accolades of the crowd. Performing classic showstoppers such as the infamous and deadly bullet catch, his charisma and panache will charm the audience, embodying what gave golden age magicians their meteoric rise to fame and popularity. The Escapologist will recreate the most iconic stunt in the history of magic, performing Houdini’s death-defying escape from the “Water Torture Cell”. Bound, shackled and submerged in water, audiences will witness the same near death experience that enthralled patrons wherever the Great Houdini performed. The Immortal is the ultimate connoisseur of golden age magic, specialising in illusions that have stood the test of time. His montage of turn of the century grandeur includes the greatest levitation act in the world. The old saying “There’s a sucker born every minute” may have been coined by P.T. Barnum, but “The Charlatan” has made it his mantra. Watch, but don’t be fooled by his simple, folksy demeanor, or you are likely to miss his tricky ways. This entry was posted on Saturday, October 17th, 2015 at 8:18 am and is filed under Uncategorized. You can follow any responses to this entry through the RSS 2.0 feed. You can leave a response, or trackback from your own site.